Fall Sports Season ends with medals! Our fall sports season is officially over with the JV Boys Volleyball and JV Girls Soccer tournaments taking place at St. Catherines on Monday, November 19th. Our teams participated in their last tournament of the season, coming back to school with medals after playing a number of exciting matches and gaining a lot of playing experience! The JV Girls Soccer team started the tournament with a win, and the two losses and a tie in the next games, brought our girls to the 3rd-4th place game. 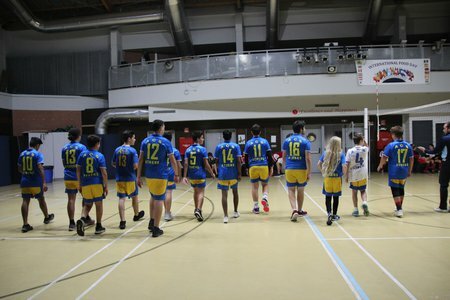 The team played against ISA and the game finished 0-0. After an exciting penalty shoot-out, ACS Athens won, finishing the tournament in 3rd place! At the same time, in the indoor gym of St. Catherines, our JV Boys Volleyball team also started strong winning against Byron (2-1) in the first game and keeping up the great effort in the next game against Campion (2-0). 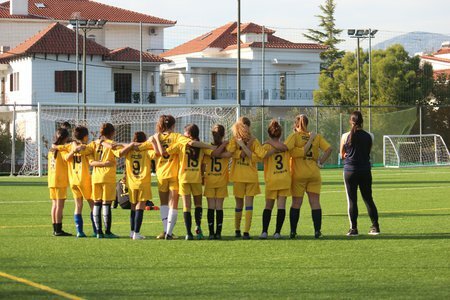 In the semifinals, ACS Athens won against ISA (2-0), and our team had already made it to the finals! Our boys faced the team of Byron College once again, but after 3 exciting sets, the team ended the tournament in 2nd place (1-2). Congratulations to all the players for their effort and achievement!